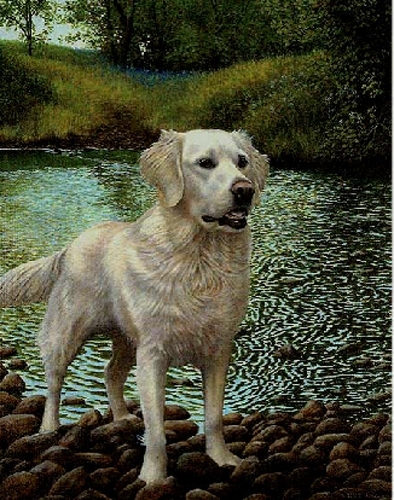 In my experience Retrievers love the water and take every opportunity to immerse themselves in it. This is Millie, and she is no exception. This spot is a particular favourite of her mistress, a place where a bridle path fords a wide, shallow brook, it also holds great appeal for Millie.